Enhance lifestyles and increase asset value for residential, hospitality or commercial projects. subdivide large rooms for temporary privacy while retaining open-plan living concepts. AutoStac panels open or close partially or fully on command and can stack unobtrusively into wall cavities when fully open. 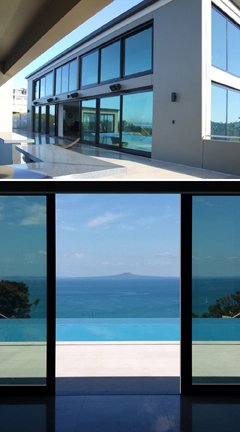 November 2012 saw the first system installed in New Zealand (and Australia), residential sliding doors have now been successfully fully Swish automated! But view the video below for yourself, "during installation"